The cultural phenomenon of the 'Spritz', an artfully blended aperitif with just the right balance of sweetness and a touch of bitterness on the finish, said to stimulate the apetite, is spreading its origins in the Veneto region to conquer palates throughout Italy and abroad. 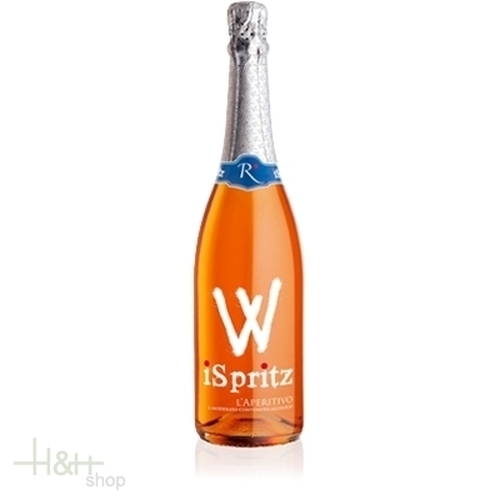 The cocktail is traditionally mixed by the barman, each having a personal favourite recipe but, thanfully, i Spritz offers us the perfect blend at the pop of a cork. Ingredients: white wine, concentrated grape must, water, aromas, colorants. Fermentation: the natural fermentation takes place in autoclave at a temperature of 16°C to ensure a fine perlage. Once the fermentation is completed, the yeasts are separated through centrifugation. The product is then stored at -4°C until bottling. Tasting notes: a clear, bright orange colour with a fine and persistent perlage. The citrus notes, reminiscent of caramelised oranges on the nose, continue onto the palate, which is fresh and intense with a well-balanced sweetness and a characteristic bitter taste on the exceptionally long finish. 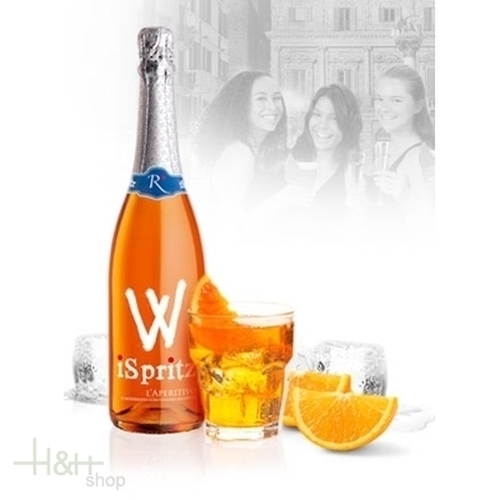 Food pairing and serving temperature: Refrigerate the bottle at 8°C; place 3 ice-cubes and a slice of orange in a glass; uncork iSpritz and pour over. Buy now this product together with Nardini Mandorla Mandellikör 50,00 % 0.7 l.
Nardini Mandorla Mandellikör 50,00 % 0.7 l.
ready for shipment: in stock Nardini Mandorla Mandellikör 50,00 % 0.7 l.
Polenta with wild boar 400 gr. Polenta with wild boar - gastronomic speciality on the basis of cornmeal and additions. cook for 4 minutes and the dish is ready.